Is it really possible to post little free ads online to start earning commissions and make over $1000 per day, every single day? I’ll tell you what, there’s more than enough of these hyped up systems on the internet so what makes Income League different from the rest? From the get go all I’m seeing is red flags and false claims, and I absolutely know people are falling for such systems and using all their money. That’s why I created this Income League review, to help people avoid such scams in the first place and waste a heck of a lot of time! Keep reading to find the real truth. Matthew Neer & Jamie Lewis are the creators of Income League. 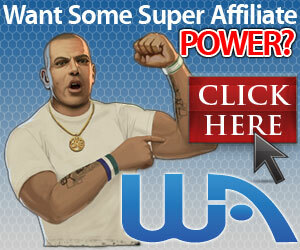 Matthew is a reputable product creator in the affiliate marketing space so he is making money from his affiliates. That’s the earnings you see in his Clickbank account…commissions he has made off of the products he’s created which affiliates have sold for him. When I search up who owns the domain name, none of these names come up. I have no idea why though. There are some interesting traffic stats for this website. Most are going directly to the website by typing the domain name into their address bar, some are referrals and a lot are coming from paid advertising. This is a sign that “Matthew” got it to launch in a fast amount of time, and more than likely hyped it up before the official launch. The traffic rises in August for 2 months but quickly falls flat on its face! According to the sales video, this guy “Matthew Neer” is making around $1500 per day. He posts little ads and hours later his commissions start racking up. Hahaha, as soon as he said that it reminded me of the Google Sniper 3.0 sales video. It’s as if that is where Matthew got his inspiration from. He also says this typical system does not involve posting ads on Facebook, blogging or SEO, and most especially nothing you’ve seen before, which is a pretty huge claim if you ask me. Apparently you just log in, post ads and make money. Every time you want more money you just login and post more ads. So What Exactly Is Income League? Income League teaches you how to make money online by using a very popular method of capturing leads and selling digital products to them. This is nothing new or a secret at all even though Matthew claims it’s nothing you’ve seen or heard of before. Now this might be correct IF you’re new to the internet marketing space, otherwise it’s a common tactic used to make money online from thousands of experienced marketers. 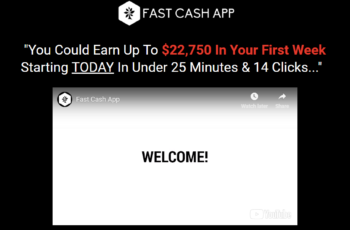 I’d like to mention that Income League provides the landing pages that you’ll be promoting so you don’t have to worry about doing any coding, finding out what converts and things of that nature, because it is already done. 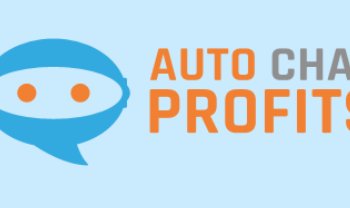 This is a true done-for-you system, it’s just a matter of sending traffic to the offers. But of course this opens up many flaws too, which we’ll talk about in just a second. Where exactly are you getting your traffic from? Well, you will post links on social media pages even though he clearly says in the sales video you won’t be doing any of that. The products you’ll be promoting are Income League itself or the hundreds of other affiliate products found on Clickbank.com. That is clearly a bad sign because the majority of products on there are scams! Can You Really Make The Money They Claim? Making money with an email list is actually how the big dogs do it. It is not new but it IS one of the best ways of making money on the internet because you’re in peoples inbox, you are personally emailing them and that has such a huge impact when building relationships. But as I mentioned above, there are a few flaws when it comes to the Income League system. You’ll be using templates that others are using, promoting scammy Clickbank products and even using traffic methods highly unsustainable. 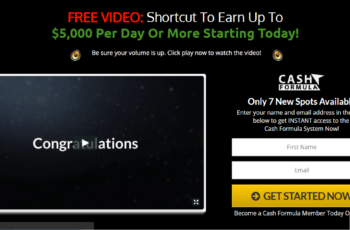 You will most definitely not make the figures of $1000+ per day. I’m not saying it isn’t possible but it is almost certainly not attainable. Why do I say this? Read the flaws below and you’ll understand why I’m not a big fan of this system. The landing pages provided might seem like a great choice to begin with, but this also means other people are promoting them too. Your traffic source has probably been exposed to the landing page many times before and have always skipped over it. Your landing page and templates are no different or unique from everyone else’s and so you won’t stand out, you’ll just be another desperate guy trying to make money online. The minute you start promoting these hyped up products with little value to offer, it will be the moment your audience loses trust in you. Look at it this way, why would someone buy something you’re promoting if the last 1 or 2 things didn’t help them in ANY way? That’s why when you promote these scammy Clickbank products you’re only going to dig yourself a grave and you’ll constantly be struggling to make any money. Social media seems like a great way to get people to your offer and it might work, but do bear in mind that you’ll need a lot of followers just to gain any kind of traction. Because if you’re just posting on your main profile page, no one will believe a word you say because they know these types of things don’t work. And if you pester them over and over, you’ll only annoy them. Building an email list and promoting products over and over again is not a real thing because no one will ever trust a word you say. If you don’t provide value and earn trust and loyalty, you will not succeed with this business model. There’s so much competition, everyone is trying to do this thing and you need to stand out from the crowd by building relationships, NOT promoting 100% of the time! Access to this system can be gained on their official website: incomeleague.com. 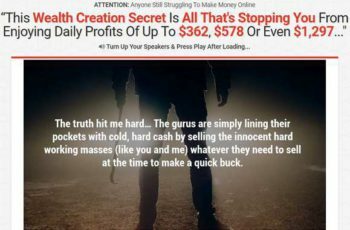 There is a fee of $47 that needs to be paid before you can get inside and start implementing the tips and techniques. 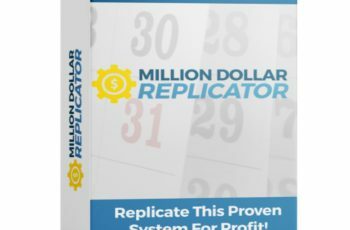 There is also a 60-day money back guarantee since the product is on Clickbank.com and allows you to get a full refund if you don’t like your purchase. You will be hit with many upsells as well but do keep in mind these are only there to squeeze more money out of you. They are there because they are required to make this concept work. Without handing over a few hundred dollars for the upsells, you will only sink and make no money, and that’s what they want because they WANT you to purchase the upsells. It is nowhere near as simple as posting “tiny little ads” in the morning and then some at night to make $1000 a day. That is a complete and utter lie! 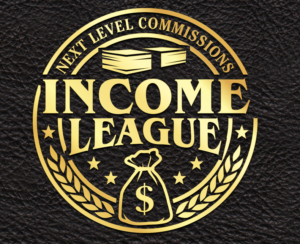 Many will say that the Income League system is not a scam because they offer you value in return for your money, but it is most definitely a scam on so many levels. The methods used in the Income League system sound good in theory, but when you actually implement the techniques it’s a whole different story. It is nowhere near as simple as posting ads on social media and forums and making bank in a matter of hours. It’s not as easy as “posting more ads” whenever you want more money. These are flat out lies and this “Matthew” guy knows what he’s doing. He is misleading people and making people think that making over $1000 is literally a walk in the park. It is not just about copy and pasting and you should already know that! If it sounds too good to be true, it most probably is. You see, everything coming out of this mans mouth is false claims, lies and false advertising. Income League is high on top of my scam list, definitely in the top 5 for being so fake and dishonest. Yes, Income League is a SCAM! You’ll have much more success at creating an online business by actually creating your own. You see, everything over at Income League is theirs and they own everything. You’re only using or borrowing what they have, so if they decide to pull everything down which is possible and been done many times in the past, you’re left with nothing. You have no business and leg to stand on my friend. A better solution is to do what I do, which is to create a website that ranks in Google (which is easier done than you think) and earn money via affiliate marketing. Here’s how the whole concept works so you have a better understanding of what I’m talking about. Otherwise read my Wealthy Affiliate review if you’re ready to start your training. Enjoyed this review or have something to say? Leave your thoughts in the comments below! 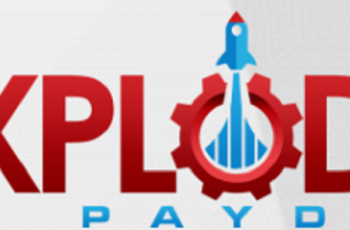 CryptoLux Review: The Biggest Cryptocurrency Ponzi Scheme?